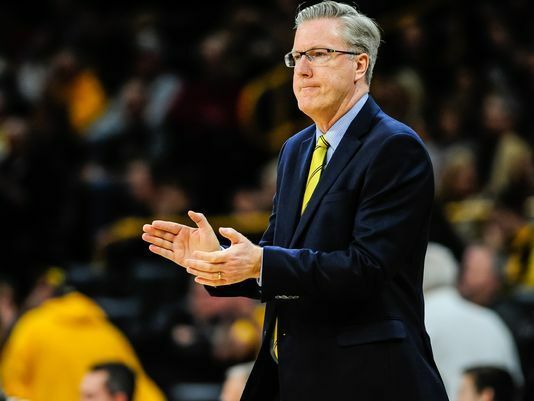 The 2017–18 season will mark the eighth season for Fran McCaffery as head coach of the Iowa Hawkeyes. In his first seven seasons, he has recorded just two wins in the Big Ten Tournament and two wins in the NCAA Tournament. Despite this, there is plenty of excitement going around the Hawkeye basketball program as the season approaches – and McCaffery is welcoming it with open arms. 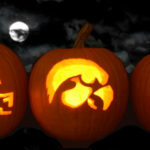 It is easy to see why Hawkeye fans and outsiders are excited about the future of the program. Iowa loses just one contributor from last year’s 19–15 team that reached the second round of the NIT. A team that relied heavily on contributions from freshmen now has more experience and more depth. McCaffery says he has never tried playing 13 different players in a rotation before, so rotations this upcoming season could be a challenge. 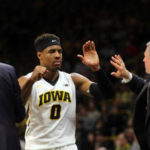 Last season, the growth and development of youth Hawkeye forwards Tyler Cook and Cordell Pemsl was key to the outcome of the Hawkeyes’ season. Both players made major strides of improvement over the offseason. “He’s really matured,” McCaffery said of Cook, a 6’9” forward who 12.3 points and 5.3 rebounds a game en route to a spot on the Big Ten All-Freshman Team. Cook seems to hold that opinion of himself, too. The Hawkeyes would benefit greatly from a step forward from Cook, who already established himself as the Hawkeyes’ best big man last season. Fortunately, he will have more help this season. Cordell Pemsl, also a sophomore, made strides to improve his physique this offseason, a move he believes will help him become more agile and more active down low. Pemsl says he strove to drink a gallon of water per day this offseason, as well as cutting out sodas and junk foods for more healthier options. McCaffery said he weighed in at 235 pounds, as opposed to the 256 he weighed a year. The ability to have more movement down low would be a coup for the Hawkeyes. Iowa also adds two highly touted freshmen big men – Luka Garza and Jack Nunge – who can both work the ball inside and score from outside. Both listen at 6’11”, they rank among the tallest players on the Iowa roster. “Luka has a 7’1” wingspan … and Jack has a 7’1” or a 7’2” – that takes up a lot of space [in the paint], that’s going to be a lot harder for people to score on,” said sophomore forward Ryan Kriener. In the backcourt, it will mostly be returning faces for the Hawkeyes. Jordan Bohannon entered his freshman season as a bit of an unknown, but after a stellar first year where he sank 89 3-pointers and earned a spot alongside Cook on the Big Ten All-Freshman Team, teams will be having to game plan for him much differently defensively. McCaffery even went as far to say that Bohannon, as a high school recruit, reminded him of former NBA Most Valuable Player Stephen Curry. Still listed as 6’0”, 180 pounds, Bohannon lacks some of the size of other, more physical Big Ten point guards. His shooting ability gives him the edge over some of his matchup disadvantages. The Hawkeyes will also have a new, unfamiliar challenge to face this upcoming season, as Big Ten conference play starts in early December for the first time, as the league compensates for its conference tournament being held in New York City in early March. Baer, the reigning Big Ten Sixth Man of the Year, described perfectly the attitudes of many Hawkeye fans of the upcoming season – excited and ready for it. Iowa’s returning experience and incoming talent could lead to one of the best years in McCaffery’s tenure.